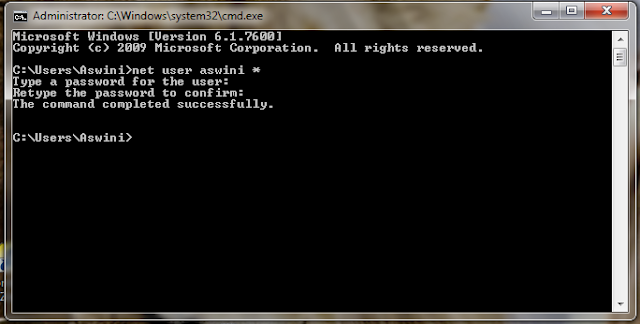 To change password of administrator of windows 7 you have to follow some easy steps. 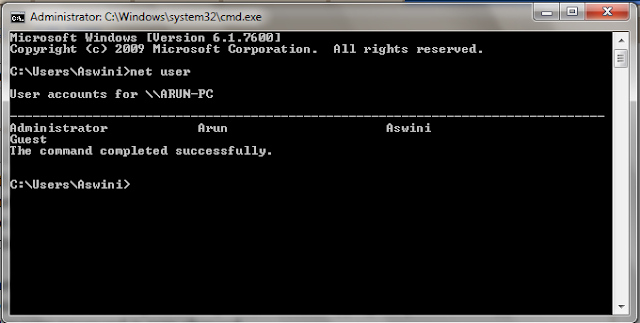 Open cmd and type net (user without) brackets.You will see the name of admin. 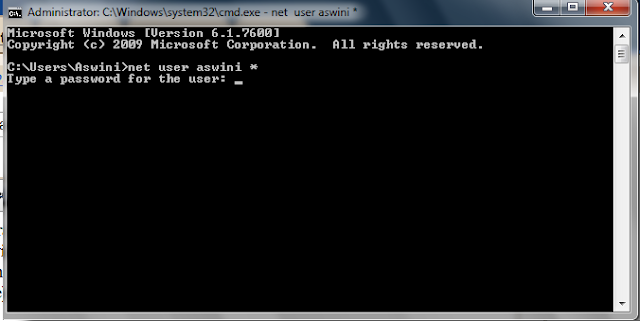 Now type (net user admin name) like my is aswini so i will type (net user aswini *) press space * and press enter. You will see (type a new password for the user) if you want to change password type your password but typing the password you will not to see the password press,enter after typing the password.retype the password and press enter your password is now changed.